rumbling, pings, tjúúúú, palindromic strings, bjargvættur, the coughing brass intro, bamm bamm bamm, the crecendo, the flute, the simplicity, and it fades out. press play again. a lot of people have one album that changes their lives, something that in some way alters everything after the first moment the hear it. ágætis byrjun is that album for a lot of people and today, june 12th 2009, it celebrates its tenth birthday. on the 12th of june 1999 at the icelandic opera house in reykjavík, the album was launched. typically the band's setlist that night consisted of many songs that weren't on ágætis byrjun - songs for another time. but it didn't matter - ágætis byrjun was the album that was played over and over again and over time word of it spread far and wide. 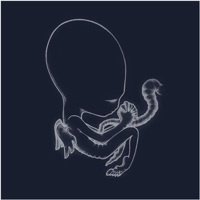 ágætis byrjun would become sigur rós's breakthrough album. ágætis byrjun gradually grew into a huge commercial success in iceland, remaining in the top charts for over 2 years. dave and alex from fat cat records had had their eye on sigur rós since 1998 and quickly signed the band to their label following ágætis byrjun's release (see dave's memories). the first indication of the critical acclaim the album would receive abroad came with the release of the svefn-g-englar ep in september 1999. ecstatic reviews began emerging and gushes like "the last great band of the twentieth century" and "like god weeping tears of gold in heaven" were not uncommon. ágætis byrjun became available to the rest of the world in 2000 when fat cat released the album in the uk, and in 2001 when pias recordings released the album in north america (see manager john's memories). "we do not intend to become superstars or millionaires. we are simply gonna change music forever, and the way people think about music."